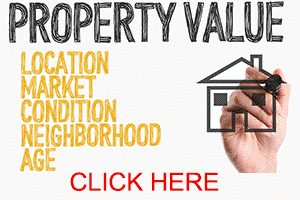 Looking to purchase a home in Idaho? Our CENTURY 21 team can help make it a reality, and the experience a little more enjoyable. Regardless of inevitable ups and downs in the housing market, buying a home always remains a good long-term investment. Buying smart is an investment in your future and long-term value. The immediate benefit to buying your own home is that you start investing money in your property on day one as opposed to losing that money when you pay rent. You will also receive tax deductions that you don’t get with renting, and you have control over you monthly payments as opposed to being at the whim of a landlord. Buying a home is not the same process in all states, and the process changes over time as well. Knowing what you will be facing before hand may make the experience more comfortable and could very well save you from making costly mistakes. CENTURY 21 Eagle Rock helps make purchasing a home easy, fun and manageable. Right now is a prime time to buy because Boise homes are reasonably priced and there are lots of options to choose from. Our CENTURY 21 Eagle Rock team understands the Boise real estate market and is equipped to help you find a home that best fits your needs. A Buyer’s Agent is compensated by splitting the Listing Agent’s commission, so it costs you (as a buyer) nothing. What does a Buyer’s Agent actually do, and why do I need one? 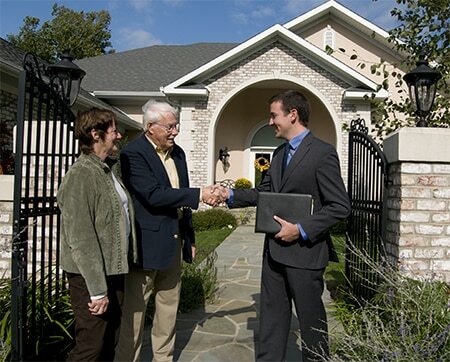 A buyers agent also called a “selling agent” is a real estate agent who shows homes and matches buyers to homes. They work hand-in-hand with “listing agents” who have a contract with a person or a bank to list their property for sale on the market. A well accomplished Realtor will be able to help you with purchasing a home in ways you may not have thought about. First, (and most importantly) a buyer’s agent is working for you and has your best interest in mind. Think of the relationship as having your own personal representation from someone who is going to guide you in the right direction and negotiate the best possible price on your behalf. While you, as a buyer are looking at all bells and whistles, like granite counter tops and stainless steel appliances, your agent may notice little things that most buyers wouldn’t think to look for. They can point things out about the home such as: stains on the ceiling from possible water intrusion, stucco repairs to the outside, and other defects of a home with a trained eye. A good buyer’s agent will be able to explain in detail the terms of the contract and leave you with a “way out” should you decide not to proceed due to a home inspection that revealed issues, or if a home doesn’t appraise for the purchase price. The Goal of a Listing Agent is to get the best possible price for the seller in the shortest period of time. A listing agent works for the seller and may not be able to disclose certain pertinent information to you, such as what the seller’s bottom line is, or what their motivation for selling is. A listing agent can also use the information you give them to relay your thoughts and feelings back to the seller. Let’s say you are really excited about a home and disclose this to the listing agent who showed you the home. You then decide to make an offer with the listing agent who knows you love the home. The listing agent will most likely tell the seller that they believe you will come up in price based on your emotional attachment to the house.